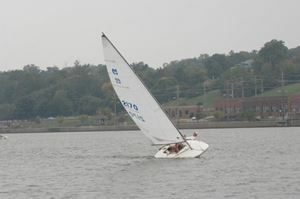 In addition to the pleasure of day sailing on the Mississippi River, LDSC members and associate members join in friendly competition. 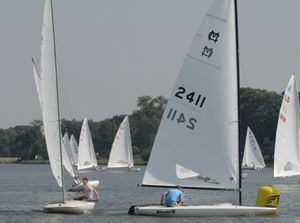 Several of our members are active in the regatta season and travel throughout the Midwest to other clubs to race their MC and C scows. A list of resources about this exciting "one class" design are listed below. Our season begins with the Memorial Day Series and continues into November, completing the Fall Series. 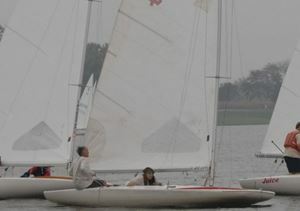 We have one race each Wednesday evening (the Wednesday Night Series) and two races each Sunday afternoon. 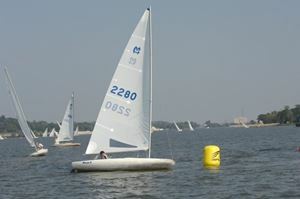 Over holiday weekends, additional races, with associated festivities, are held. 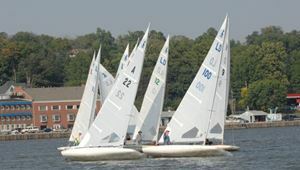 For more than 50 years the pinnacle of the season has been the Polar Bear Regatta, bringing competitors from across the country. Check the calendar for upcoming racing events.